I love St. Patty's Day, I love a good sketch, I love a challenge and I love Little Yellow Bicycle...one of my fave scrappy companies ever!! 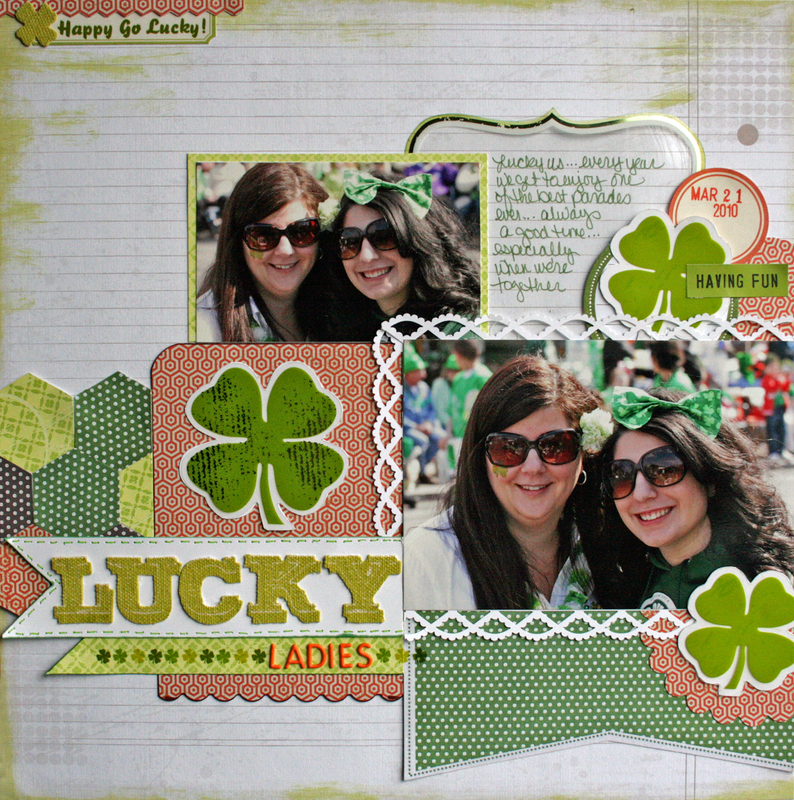 So imagine how happy I was to work on a layout about St. Patty's Day using a sketch for a challenge by LYB! So stinkin happy that's how happy!!!! I saw the sketch on LYB's facebook page the other day and knew I just had to play around with it and I knew as soon as I saw it I was gonna work on a layout for St. Patty's Day...for 2 reasons...reason one...I own alot of LYB's lucky me line and reason 2...my favorite beer swigging holiday is just around the corner! Yeah for beer! And yeah for all sorts of LYB cuteness! Even though my inspiration was the LYB Lucky Me line I rarely work with one line exclusively...I usually like to mix things up...so when I did this layout I ended up using a little bit of stuff from a bunch of LYB lines including Lucky Me, Wonders and Wishes, Zach's Life and Pack Your Bags. The orange hexagon paper from Pack Your Bags line was a definite must use...it's just an awesome paper. The only thing on this layout that isn't LYB is th little orange letters ...those are sandylion...and the labels which are from October Afternoon and the paint which is by Ranger. I already submitted mine to LYB for the Sketch Challenge ...wish me luck...the winner takes home $50 in LYB goodies. Whoot Whoot! 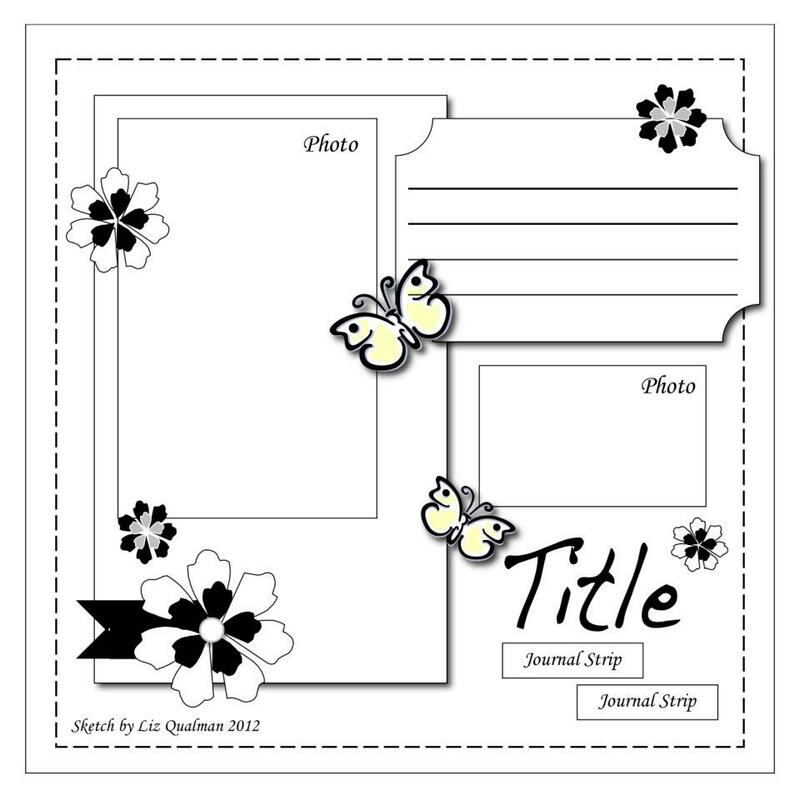 If you want to try your hand at the sketch challenge you can check out LYB's facebook page or blog. Happy scrapping y'all!